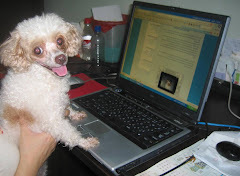 I am a 9 year old female toy poodle(DOB is June 2004).My name is Belle Lee. 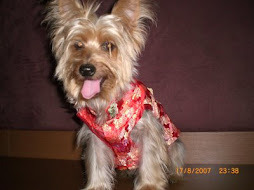 (Lee is my 'family' name)I live in the north eastern part of Singapore,where I was born. I weigh 2.6 kg or 5.5lbs. I understand English,Chinese and Japanese. 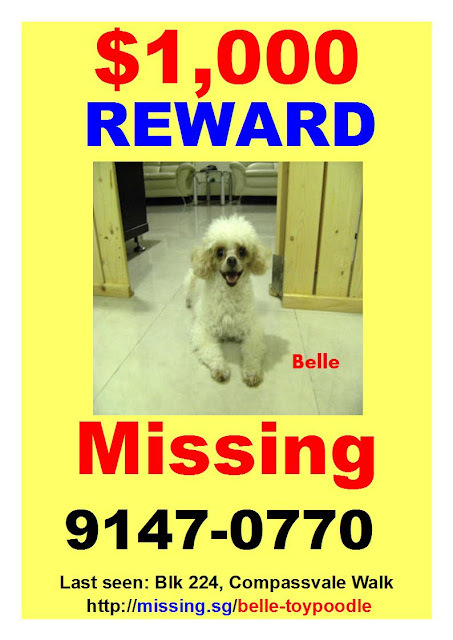 It is heart breaking each time we think of Belle who went missing last April. 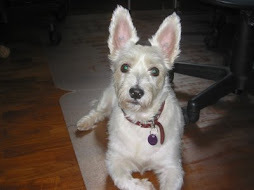 We are offering a reward of $2,000 for her discovery and yet we could not have her back. No no we are not her "mummy" and "daddy" but we have always been fond of her. We would not give up the hope of seeing her again. We hope the one who has found Belle would at least give us a call and tell us Belle is fine. Help I can't find my way home!